Since we’re an IT organization dedicated to giving our customers the best, why not celebrate one more thing this January? IT Asset Management. IT Asset Management (ITAM) is a set of business practices that enable you to manage your hardware and software technology assets, helping you gain the most from your IT investments. What if you could create a nice, tidy “box” of all your IT assets—and ditch the surplus software and hardware that’s weighing you down? Gain visibility—Discover what IT assets you have, where they are, how they’re used, get a full compliance report, and even model out future asset projects for cost optimization. Optimize software and reclaim unused licenses—Make sure you are optimizing your license position and finally quitting the bad habit of overpaying for software. That way you only pay for what you are actually using and can further optimize your software spending by reclaiming unused licenses. 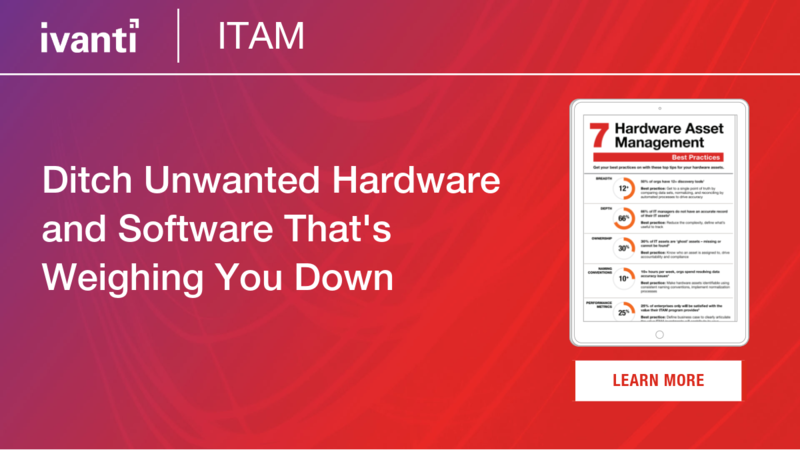 Optimize asset lifecycles—Manage your hardware and contracts proactively and make informed decisions when to purchase, update, and maintain hardware and renegotiate contracts to make the most of your investments. Automate with Unified IT—Use asset data insights for better service delivery, security and endpoint management. Use Unified IT for instance to fully automate your software requests. but who says they gotta be awful? is the one on your Belgian waffle.